Being appreciative is something that we don’t take lightly here at ZaccariaUSA. Traditionally, Thanksgiving is the 4th Thursday of November and is a time when we pause and take a look at all of the things that we have been blessed with. In the spirit of Thanksgiving, we would like to share with you the things that we are thankful for this year. We are thankful for our God who, through the happiest of days and the saddest of nights, walks with us always and constantly shows us His love, His mercy, and His forgiveness, and His grace. We are thankful for our beautiful families and the love, support, and happiness that they share with us to truly make this journey of life remarkable. We are thankful for great clients who have not only given us purposeful work, but also supplied us with their gracious friendships. We are thankful for an office environment where ideas are valued, where laughter is plentiful, and our co-workers are a part of our family. We are thankful to be given the opportunity to live in a country where our lives, liberties, and freedoms are protected. We are thankful for the members of the United States military who serve and have served to protect the freedoms that we shall never take for granted. God bless you and your families. We are thankful for the good times which allow us to enjoy our successes and the bad times which challenge our growth. Being thankful isn’t something that we should only do once a year, but every day of the year. 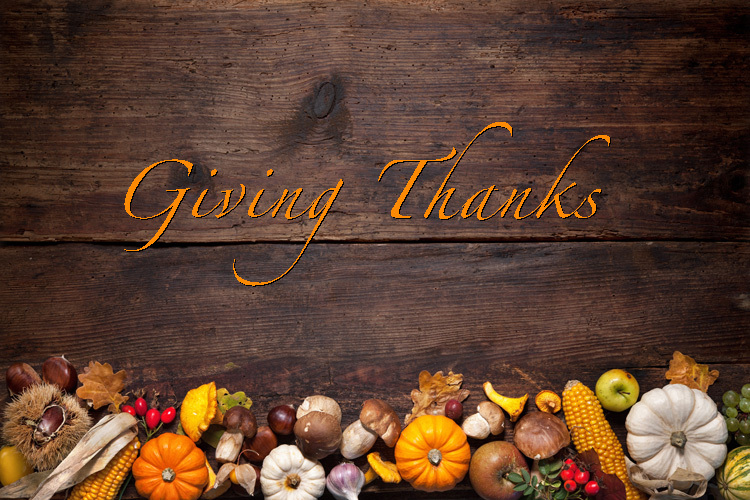 Happy Thanksgiving to you and your loved ones from your friends at ZaccariaUSA.